The voice of the Muppets character Kermit the Frog says in a blog post this week that he is "devastated' after he was replaced after more than two decades in the role. 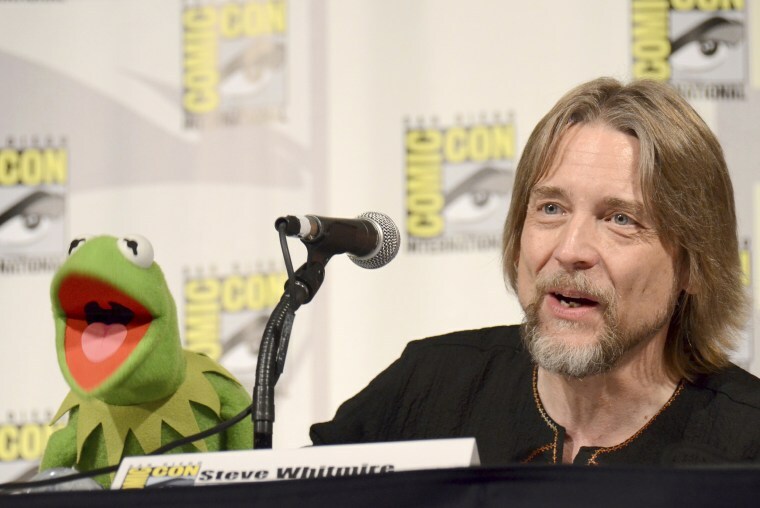 Steve Whitmire said in the post dated Tuesday that he was told in an October phone call from The Muppets Studio's executives that they were recasting the role, which he has held since he took it over following the death of Muppets creator Jim Henson in 1990. "I am devastated to have failed in my duty to my hero," Whitmire, 57, wrote, adding that the separation was against his will and that he remained silent since the phone call in the hopes that the Walt Disney Company, which owns The Muppets Studio, might change its mind. He did not specify the issues relating to his departure, but wrote, "I have offered multiple remedies to their two stated issues which had never been mentioned to me prior to that phone call." The post comes a day after it was reported that Whitmire was out as the voice of Kermit. An email to Disney seeking the reason for the change was not immediately returned Thursday. ABC News reported this week that Matt Vogel will take over as Kermit. Vogel, an actor and director, has done work with The Muppets and Sesame Street, including doing voice work for characters like Big Bird. A spokesperson from The Muppets Studio told Time Magazine in a statement this week that "The Muppets Studio thanks Steve for his tremendous contributions to Kermit the Frog and The Muppets franchise. We wish him well in his future endeavors." The fan site Tough Pigs first reported news of Whitmire's replacement on Monday. Whitmire joined The Muppet Show in 1978. He said in the personal blog post that "For me the Muppets are not just a job, or a career, or even a passion. They are a calling, an urgent, undeniable, impossible to resist way of life." "This is my life’s work since I was 19 years old. I feel that I am at the top of my game, and I want all of you who love the Muppets to know that I would never consider abandoning Kermit or any of the others because to do so would be to forsake the assignment entrusted to me by Jim Henson, my friend and mentor, but even more, my hero," he wrote. About the issues discussed in the October phone call, Whitmire wrote: "I wish that we could have sat down, looked each other in the eye, and discussed what was on their minds before they took such a drastic action." Kermit is one of the most iconic of the Muppets founded by Jim Henson. The cast of characters has its roots in a puppet show called Sam and Friends that debuted in 1955 and which featured an early version of Kermit the Frog. Muppets, Inc. was founded by Henson and his future wife Jane Nebel in 1958.